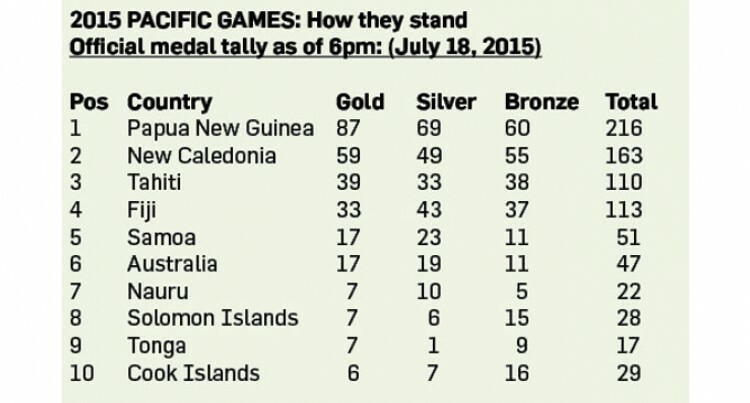 The Fijian hockey teams won gold medals in the last day of the Pacific Games yesterday. Adrian Smith said the team played for each other in the men’s walloping of Vanuatu, 15-1, at Sir John Guise Hockey Centre. “We really played well considering the hot weather,” Smith said. “Despite this the boys gave their all and the results speak for itself. “We are here to play for everyone and especially our family back home,” he said. Meanwhile, the women hockey team also won gold defeating hosts PNG 9-4 in the final yesterday. Head coach Allison Southey was proud of her team. “We changed our game plans and it obviously worked. “I must thank the girls for all the hard work and preparation they did it all paid off. I couldn’t ask for more but I’m proud of their performance,” Southey said. The girls’ main aim against PNG was to maintain possession and score as many goals as possible. “We decided to play as a team, my main message to the girls was to maintain possession and utilise all opportunities,” she said.